So, I spent the past weekend walking about 2000 acres of some of the finest deer hunting land I've ever set foot on. The property, located in west Tennessee, contains a perfect blend of lush row crops and foodplots, mature hardwood timber, dense cedar thickets, gnarly kudzu-covered drainages, and a spectacular 8o acre lake. In short, perfect deer habitat that has been managed for big bucks. 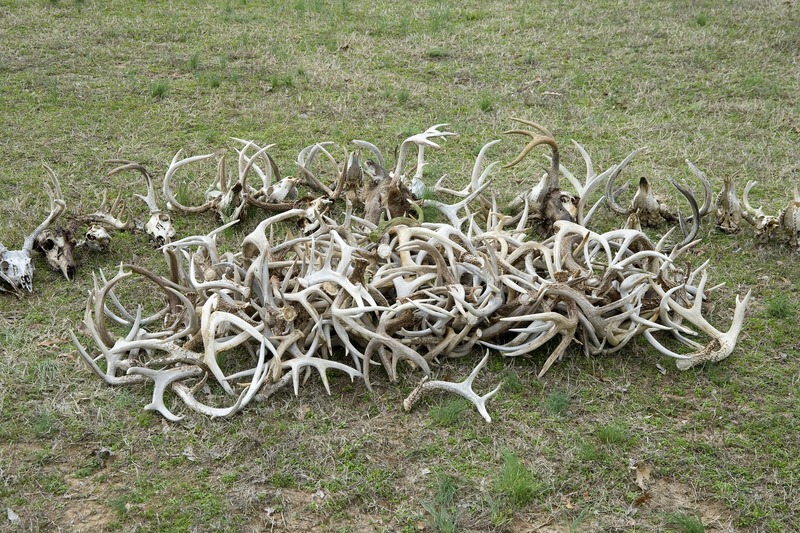 The club members had the shed-hunting process down to a science. Ten of us spread out along a 300 yard line with about 30 yards between us. One person was designated the point person. Sometimes the point was in the middle of the line, at other times he was on the end. It depended on the terrain and the width of the area we needed to cover. We all wore an orange cap or vest which allowed us to keep visible contact with each other. We each keyed off the person to either our left or right (toward the point man) in order to keep a straight line as we walked. The two people on the ends and one person in the middle all had two-way radios. The point person would follow a terrain feature (usually a creek) and the rest of us would try to maintain our 30 yard spacing, stay abreast of the guy to the left or right, and look for sheds. It took a little while to get in the groove, but pretty soon it get easier. When we needed to swing the line to make a bend or if one side got slowed down by difficult terrain (remember those kudzu washes) the wingman would tell the point man by radio to slow down until the line was straight again. 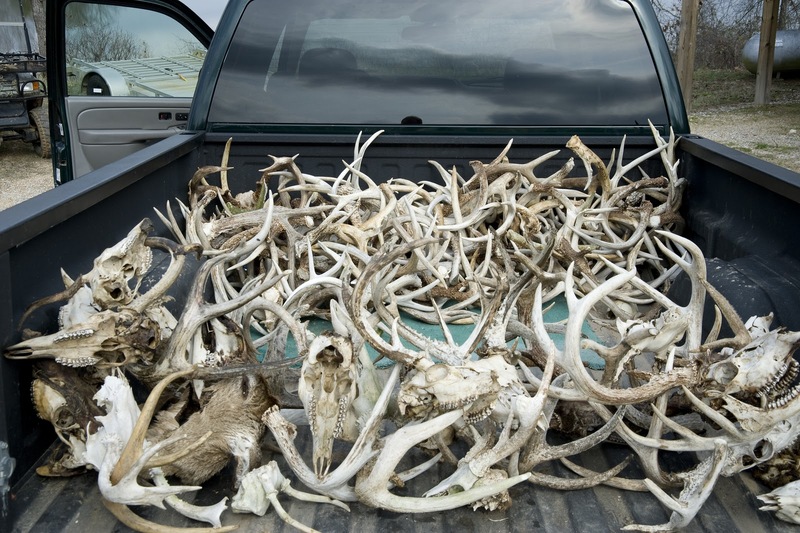 Collectively, we walked about a hundred and ten miles - double that if you count the ups and downs - and picked up well over a hundred sheds and buck skulls, enough to half-fill the bed of a 3/4 ton pickup. The find of the day was a matched set of thick chocolate-colored 8 point sheds found about 30 yards apart. It's hard to say what they would have scored without knowing the spread, but 150 would be conservative. I had a terrific time and thoroughly enjoyed the cameraderie of a bunch of guys who enjoy having a good time together. The true discovery of the weekend occurred after dinner and about three rounds of margaritas, when one of the guys observed that "tequila makes the ticks fall off." We're thinking that's a pretty good bit of campfire wisdom and a heck of a country song. On a bittersweet note, this was likely the last shed hunt for this group. The owner of the club has decided to sell the property. He lives in middle Tennessee and wants to focus on hunting closer to home so that he can spend more weekends with his family during the fall. It is being offered at a very reasonable price of $2750/acre, so it will likely sell quickly. Interested and qualified buyers can contact me at 615-479-8594 or at chris@cpanderson.com to learn more. 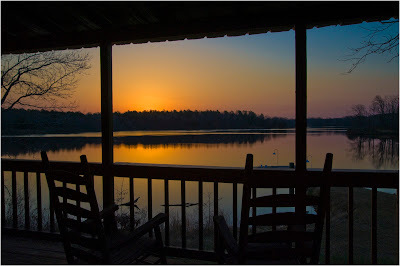 Looks like a great day and that whole "tequila makes the ticks fall off" line? PRICELESS!! Just out of curiosity, where was this club at in West TN. I hunt in West TN and am always wanting to learn about this area more and what type of deer others are growing!